The East Bay Regional Park District Police Department is investigating an arson that occurred on 03/04/19 at Anthony Chabot Regional Park. 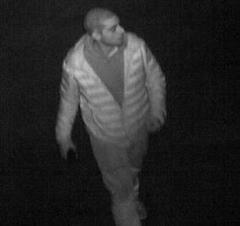 We are trying to identify the individual pictured related to this investigation. If you recongize this individual, please contact us at 510 881 1833. Reference case 19-03012 when calling.